Chimera said the crates are compact and portable. They are available in four and six foot, 40 or 50-degree versions. 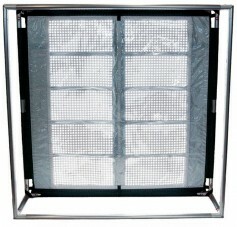 The kids are available with or without panel frames. Those with panel frames include duffel.